Leaving the Tasman Sea behind us we headed east over the mountains. 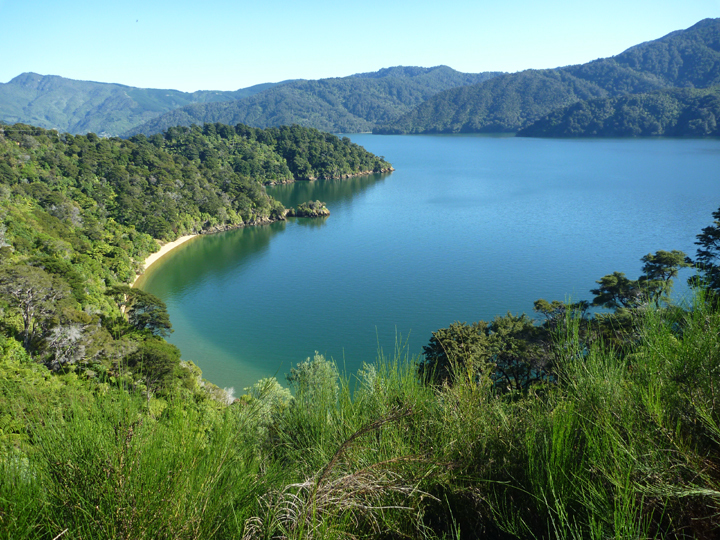 The Marlborough Sounds lie in the northeast corner of NZ’s South Island. 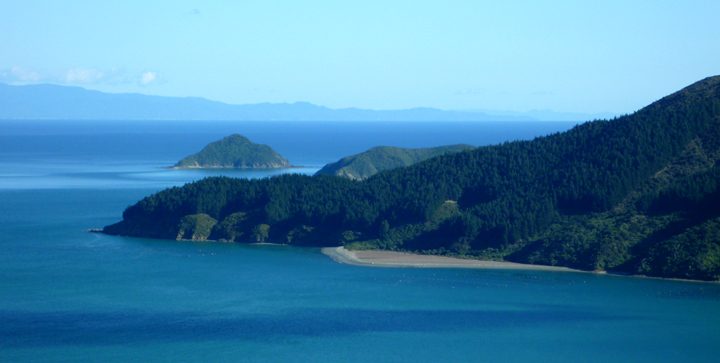 They are composed of a collection of ancient sunken river valleys filled with the waters of the Pacific Ocean. 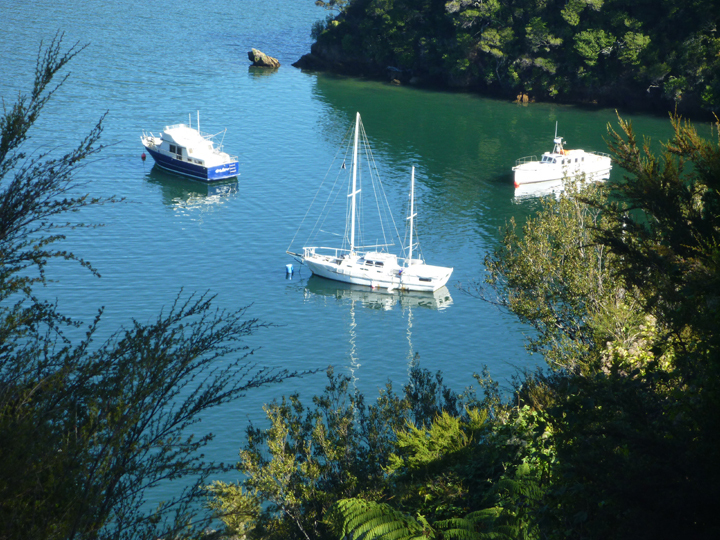 Forested hills rise steeply from the sea around an intricate coastline of sheltered inlets and sandy bays.This must be an incredible place to sail as evidenced by the numerous boats in nearly every harbor. 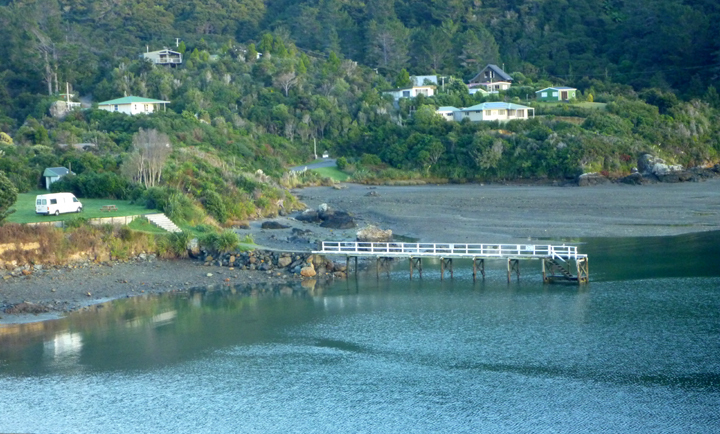 Our first glimpse of the sounds was just before the sunset as we drove out to Elaine Bay. 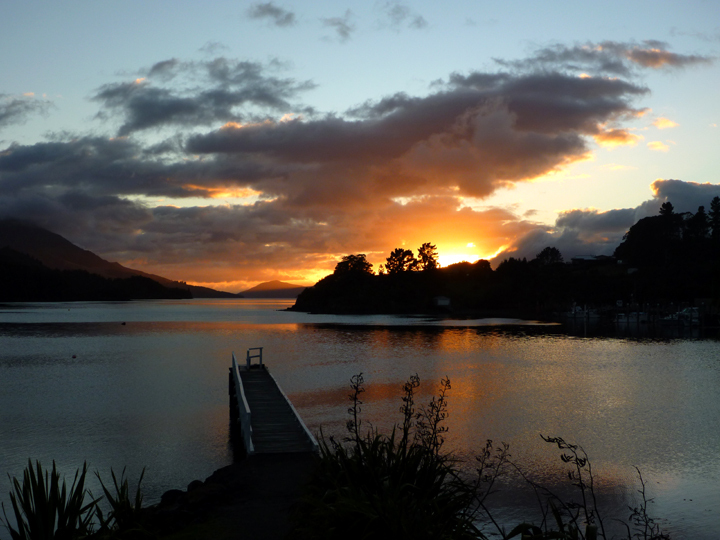 After an amazing starry night, we were treated to a beautiful sunrise. Getting a bit creative here. 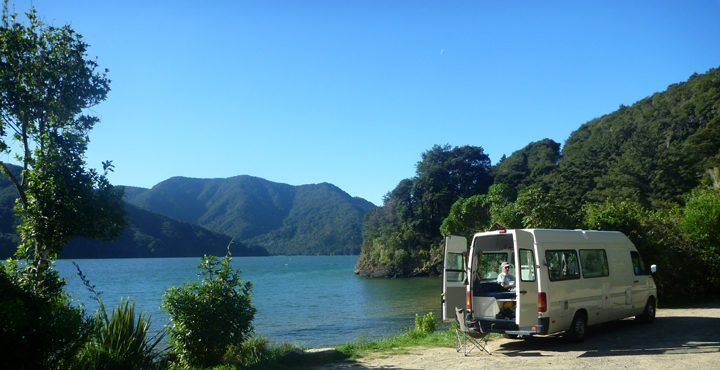 Great campsite – that’s our rental van on the left. 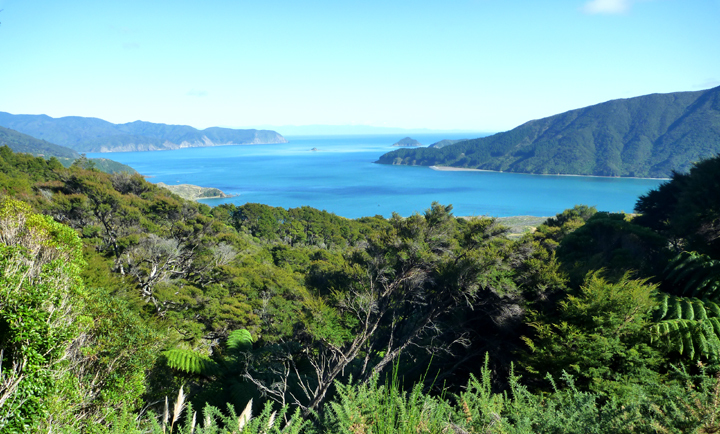 The area has three main bodies of water – Queen Charlotte, Kenepuru and Pelorus Sounds. 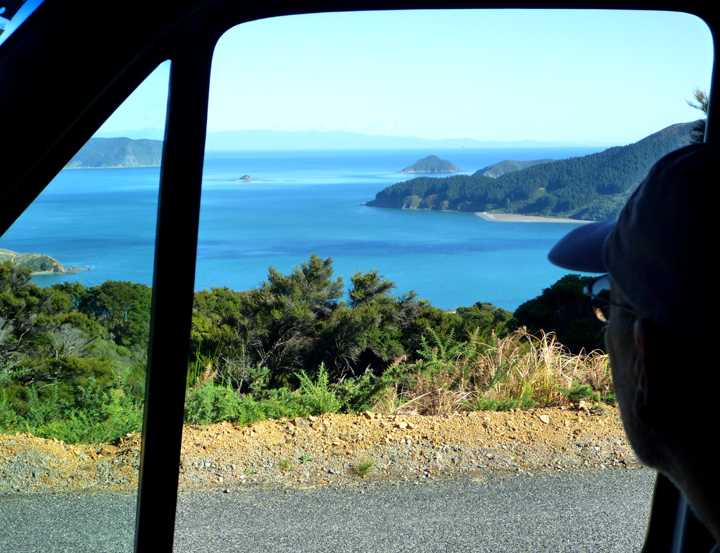 Taking in the view of Pelorus Sound. 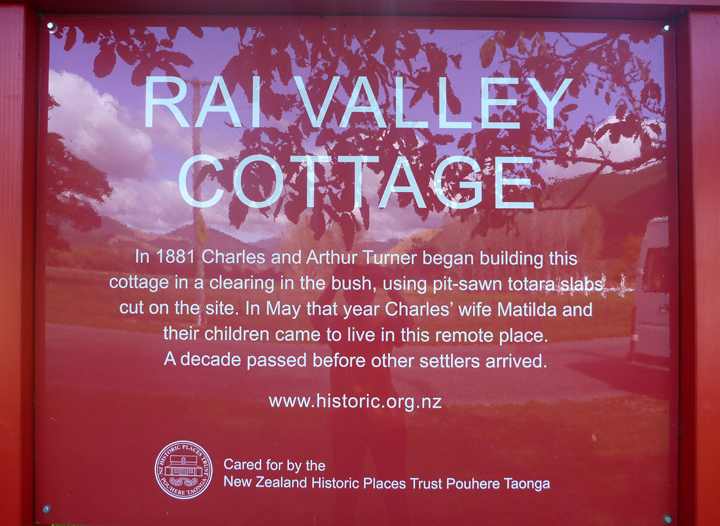 We followed a sign to see a “Pioneer Cottage” in Rai Valley, which lies between sounds. 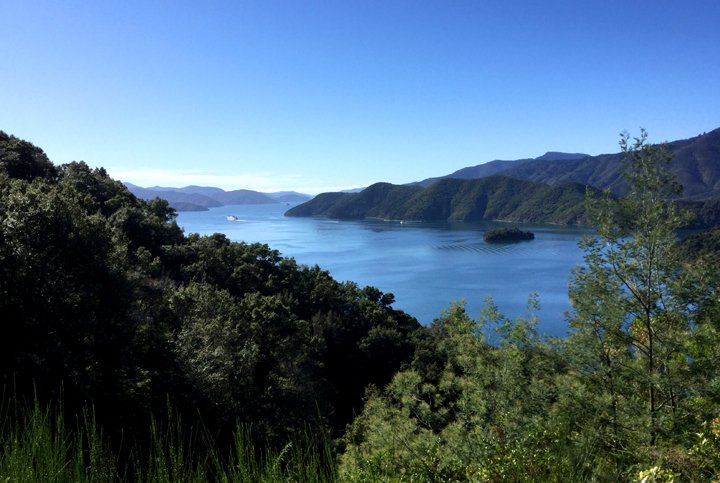 Queen Charlotte Sound which we will transit on the ferry tomorrow. 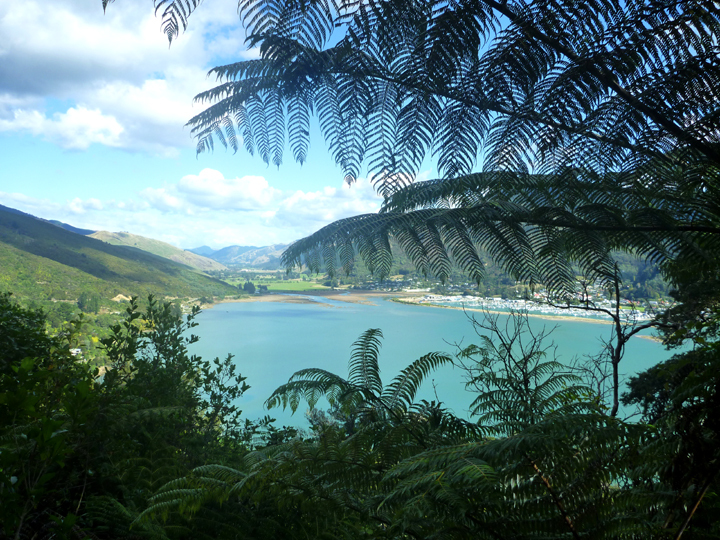 The bays, sound… Gorgeous! 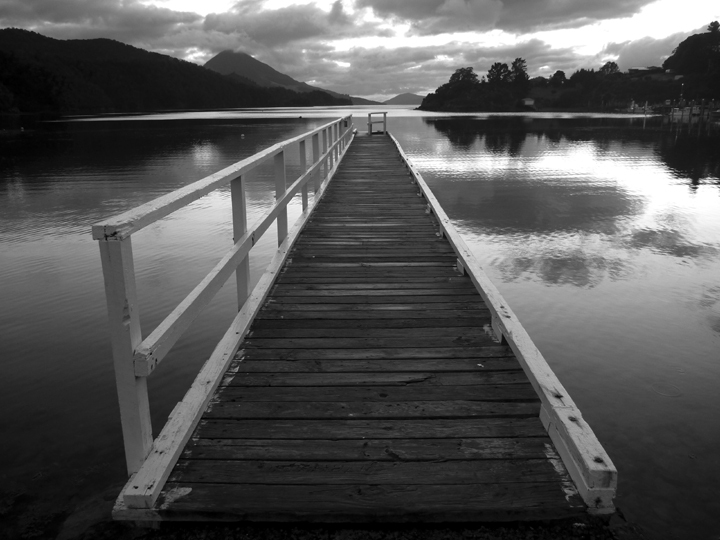 Love your b & w photo!! What a trip you are having and the beauty…it just unfolds and unfolds. Great photographs. 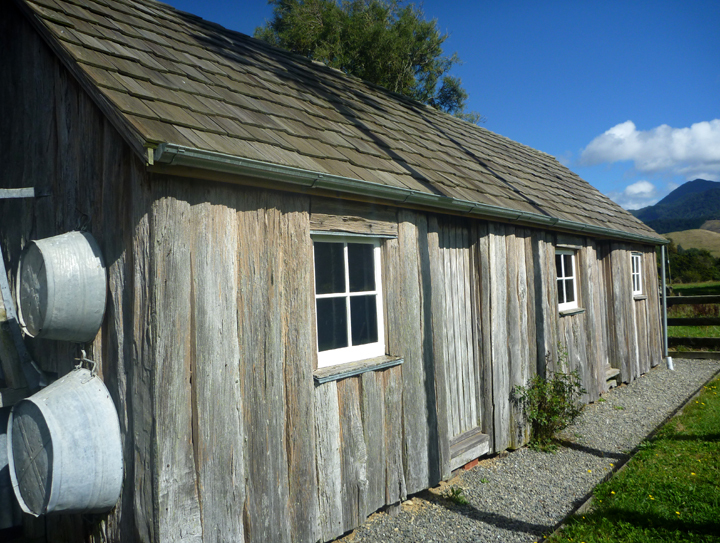 Thanks for bringing us along via your blog. Such amazing beauty. What to do when you run out of superlatives?